January 4th 2018 – Ultrahaptics, the leading mid-air haptics company, has signed an agreement with global gaming leader IGT to supply its mid-air haptic feedback solution for implementation in IGT’s TRUE 4D™ games on the CrystalCurve™ TRUE 4D™ cabinet. IGT has combined Ultrahaptics’ mid-air haptics technology with glasses-free TRUE 3D™ and gesture recognition technologies to create multi-sensory gaming experiences. Ultrahaptics’ technology enables players to experience tactile feedback when they interact with the games’ glasses-free 3D graphics. Players can literally reach out and touch graphics that appear in free space, without the need for haptic gloves. 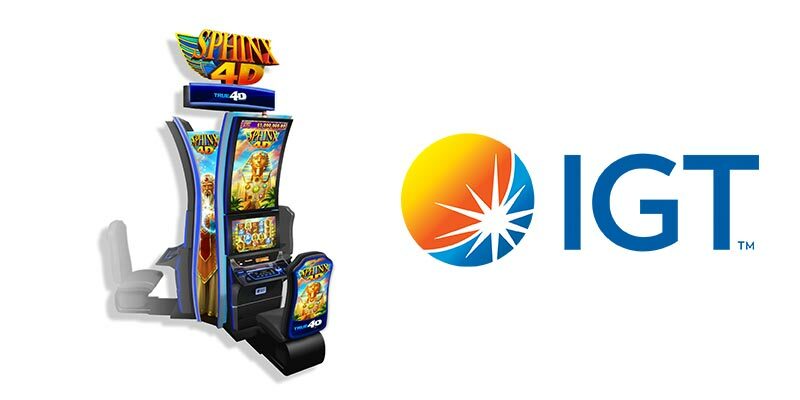 IGT is the world’s leading gaming company and achieved a gaming industry first when it introduced and deployed a slot product that includes this haptic technology, licensing Ultrahaptics’ software. The Company first unveiled the CrystalCurve TRUE 4D cabinet and the SPHINX 4D™ game at the 2016 Global Gaming Expo (G2E) in Las Vegas. At G2E 2017, IGT unveiled additional TRUE 4D game titles. IGT’s first TRUE 4D game, SPHINX 4D, has now garnered several major gaming industry awards and went live on casino floors in November 2017. For images, videos and press releases.